Vitamin B1 contributes to the proper functioning of the body. It belongs to the group of water-soluble vitamins. It supports the nervous system, muscles and the heart. In some cases, due to its deficiency, Beri Beri may develop. It comes with muscle disorder and hence circulatory insufficiency. This condition can even lead to death. Vitamin B1 can be found in both animal and vegetable products. Most of it can be found in cereal products and dry legume seeds. The amount we find in a particular product depends on the amount of bake. The type of technological process that the grain has undergone is also important. 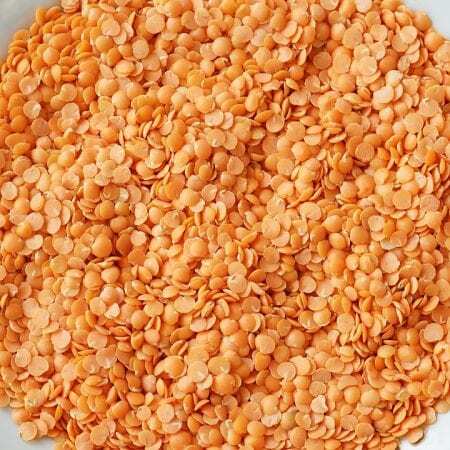 A large amount of vitamin B1 can be found in red lentils, sunflower seeds and also in yeast. If our body is not provided with enough B1 vitamin, one can observe: nystagmus, concentration and memory disorders, emotional imbalance. In addition, the heart affected by deficiency is enlarged, and its beat – accelerated. The deficiency of vitamin B1 also affects the digestive system. Very often there is a lack of hunger and nausea. Diarrhea and vomiting may occur. The whole is complemented by chronic fatigue. However, not only is the deficiency undesirable for the body. The excess is also harmful. We then observe: muscle tremors, heart arrhythmia and dizziness. In extreme cases, allergic reactions also occur. How much vitamin should be consumed by a particular person depends on their age and gender. Other standards are also distinguished for nursing women. Children from 1 to 3 years of age should consume 0.5 mg / day. This demand increases with age. A child from 7 to 9 years old already needs 0.9 mg. Boys and girls from 10 to 12 years of age should provide themselves with 1 mg of vitamin B1 per day. This norm increases to 1.2 mg in boys from 13 to 18 years of age. In turn, in girls it is 1.1 mg. Adults should take 1.3 mg of vitamin B1 and 1.1 mg of women. A pregnant woman should provide as much as 1.4 mg of vitamin B1, and a lactating one – 1.5 mg. It’s good to know the standards because their adherence will help you avoid many dangerous consequences. Thanks to this, we can also minimize the number of medical visits. Appropriate dosage will make the body develop properly. We can buy B1 vitamins at any pharmacy. This is a very popular supplement available most often in the form of tablets. We can reach for it when we are forced to limit the amount of vitamin B1 supplied with food. Sometimes, for health reasons, our diet must be very restrictive. It is worth mentioning, however, that it will be necessary to adhere to the recommended dosage. This move will avoid possible consequences associated with overdose. The price of vitamin B1 is not too high. We can buy a supplement for just a dozen zlotys, which is enough for a month of application. However, if we are able to provide the body with everything it needs along with food – let’s do it! The effect will be much better than when using supplements.